Explore the full set of HAPITM APIs via our Swagger site and our SDK on GitHub. See and directly execute functions that enable single sign on (SSO), on-premise file access and linking, remote database access, remote Directory management, auditing, printing, and much more. 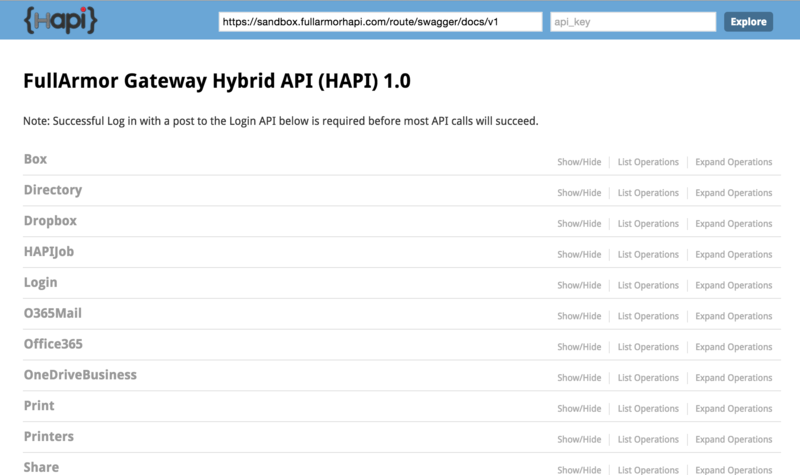 Browse through all of the HAPITM APIs from the Swagger Web UI and see the API parameters, definitions and outputs of each API. 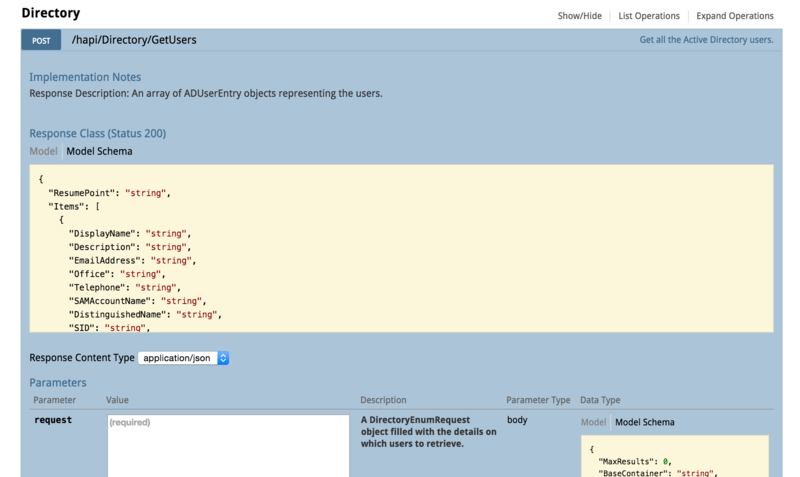 Make direct calls of each API to test out what they do and see the results in JSON or XML directly from the Swagger site. The Web UI provides a sample integration into any browser based application using HAPITM to authenticate and interact with files from that application. Unlike the other sample apps, the Web UI demonstrates more functionality. It deals with shared files, goes beyond just Active Directory (AD) files to Box and Dropbox files as well, and supports file and folder copy and sync jobs. iOS SDK provides the starter template for creating an iOS application using Swift in XCode. The sample iOS application uses HAPITM to authenticate and access on-premise Active Directory files and folders from an iOS device. Files can be downloaded to the device or local device files can be upload to shares published in Active Directory. The Chrome OS SDK provides a sample Chrome OS File System Provider API App using HAPITM. The app allows Active Directory (AD) authentication and access to both on-premise AD and HAPITM agent files and folders as a virtual file system in Chrome OS’ file manager. The entire Chrome File System Provider API has been implemented to include mount, un-mount, download, upload, edit, create, rename, cut, copy and paste for files and folders. The Android SDK provides a sample Java Android app using HAPITM to authenticate and access on- premise Active Directory files and folders from an Android device. Files can be downloaded to the device or local device files can be upload to shares published in Active Directory.